Got a call for this animal, strange thing is , its very healthy, I tried feeding it pinks rat and mice, and some other items, but eventually it took frogs! The thing is I caught it in a suburb close to a golf course, but exciting for me, as i neva wouldve thought there would be any snakes there besides the usual slugeaters. Very nice Rhombic Skaapsteker. Had to look that up LOL. LOL! sorry, ja here we prefer using scientific names most times, bu its an awsome specimen, the moment the weather heats up, he is going back into the wild. Awe well good luck with the release! This one was caught near Blouberg. All these guys are the striped kind up the west coast. Last week I got one out of a car engine behind the grid. I have not released it due to the weather. I caught this chap and was showing the owner and friend so the friend took some pics. The snake then attached itself to my finger and refused to let go. The snakes name is a Skaapsteker = Sheep stabber. In the old days the farmers thought these guys could kill sheep but the venom is not near as strong as that. Ja, as they are rear fanged, they dont envenomate the usual way, but instead they chew on you. 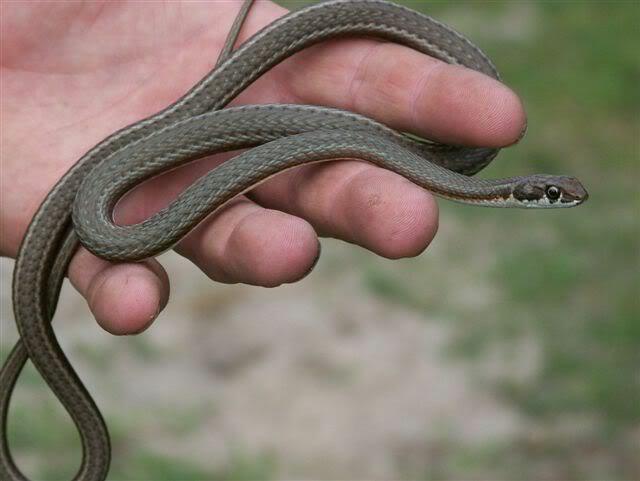 Envenomation by this snake on a healthy person, wouldnt allow to more han a slight headache, if any symptoms at all. 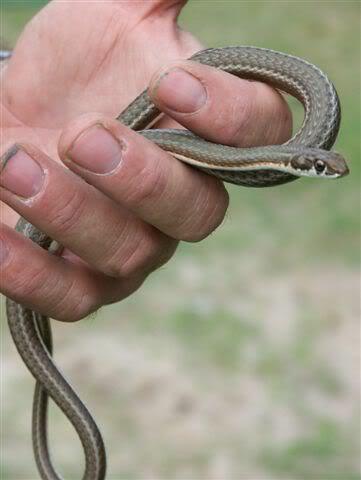 But skaapstekers are nice looking snakes, and once in grass Gone in a few seconds!